Almost every parent is somewhat biased when it comes to the intelligence of their children, but stimulating their creativity can often be challenging. Many kids are encouraged to excel in their learning because this is what society expects from an individual. A lot of children are not given the opportunity to really extend their own reading and writing initiatives that allow them to push their own boundaries towards becoming more creative. 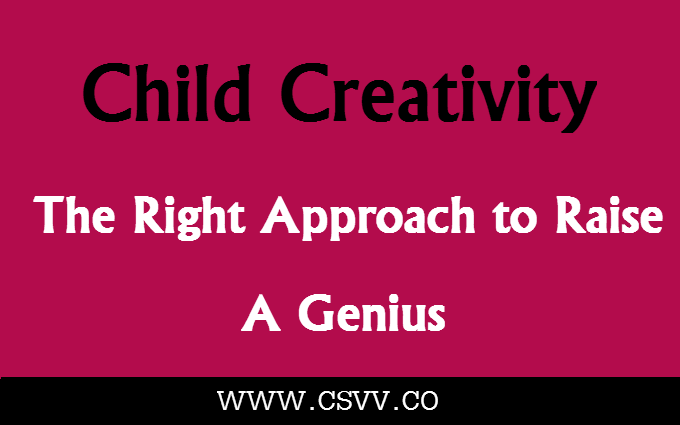 But there are still solutions that can boost child creativity in the right direction if you know how to do it right. In this post, we will discuss a few ways on how you can boost your child’s creativity. If kids are left to their own activities they will tend not to push themselves. Their down time will often be spent on entertainment, television programs and computer games. Setting limitations on watching television at a very young age will help kids to adapt to a pattern of scheduling for different activities to entertain them which is going to be a fun learning experience. Depending on the child age a lot of parent involvement is also required. The kids need to be encouraged and directed, but at the same time allowed to be creative in their choices. Finding games and activities that are going to stimulate their motor skills, but simultaneously let them be creative is what you want to set your goals on. This is where the computer really excels. As a parent you should first find appropriate programs that are going to create a learning interaction with the kids. stimulated to be creative with their writing. As a result a lot of them find writing boring and unexciting. Which is sad because writing makes a huge contribution for personal cognitive development. You can turn this around by intervening as a parent. For example, you could tell your daughter that you really love to read stories about princesses, but aren’t able to find any good ones. You could ask the young one if she is able to write this kind of story for you. No doubt your child will certainly want to help you. Try to pick a topic that you know is going to peak their interest. Another way that you can foster creativity is getting the kids to write a story about a fun outing or a family event. You will undoubtedly find a great interest in seeing how they relate to the events that took place through their writing. If it’s a trip to the zoo then, no doubt, their creativity will shine through as they write about their favorite animals. Don’t forget about the books too. Ask them to read a story for you. It will be fun for both of you to see how they process the story. You can also encourage some creative writing projects that can be presented as gifts to someone. Here you want to entice the young ones to perhaps make their own books that include both the text and pictures. They will learn many valuable lessons from this like the importance of making gifts and how precious something that they have made on their own is. It will be a definite confidence builder. The key to succeed in getting your child to become a creative genius is taking him or her through as many different paths as you can. Creative writing is the activity that really allows them to wear their thinking cap without pressure. It is important not to be suggestive or critical of their writing. The moment it becomes a lesson that is going to be evaluated you have gone astray from stimulating the creativity that your child possesses. I love the idea of writing projects as gifts. Even letting children make up original greeting cards gets them thinking and creates a keepsake much more special than the store-bought ones. Thank you so much for your feedback. We’re really glad you enjoyed the post. Definitely agree with the above! I think this will also help shy children to open up a little more and of course become more creative.